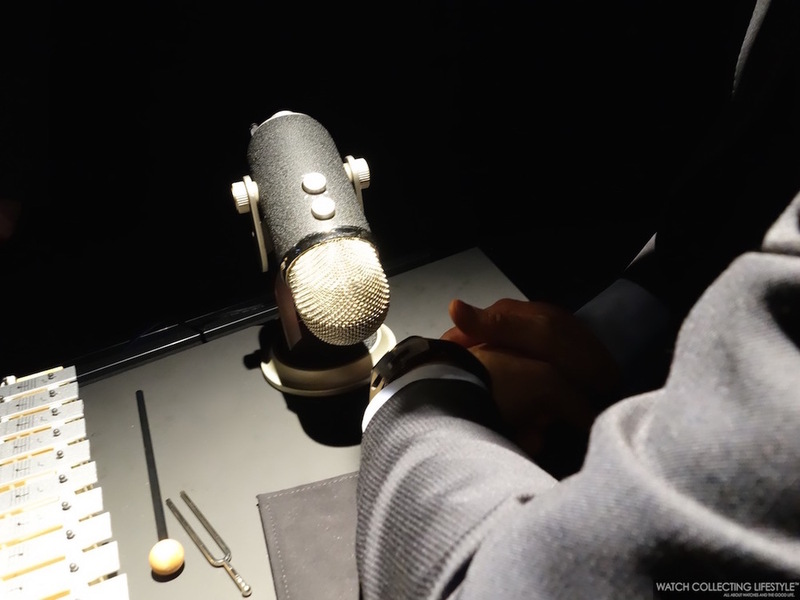 SIHH 2015: Introducing the New Audemars Piguet Royal Oak Concept Acoustic Research Episode 1. Live Pictures of the Loudest Minute Repeater, Tourbillon Chronograph. Being in the presence of what we can now refer to as the "glassiest and loudest minute repeater we've listened to" since pocket watches, was a once in a lifetime opportunity. Officially presented this week at the SIHH 2015, the Audemars Piguet Royal Oak Concept Acoustic Research Episode 1 —Etude Acoustique No.1— is product of exceptional engineering but also years of research to create the most unique and superb minute repeater to date. The Audemars Piguet Royal Oak Concept Acoustic Research Episode 1 —Etude Acoustique No.1— is without doubt, one of the most innovative concept watches created by a Swiss haute horlogerie watchmaking house. The result of an in-depth eight year sound research program with three patents pending, this new Royal Oak Concept watch, a unique prototype, is not for sale at the moment. However, we envision Audemars Piguet releasing 'for sale' pieces moving forward. Engineered within Audemars Piguet’s acoustic research lab, this new Royal Oak Concept is the first chiming watch so acoustically considered as to become a sound concept in its own right. It has been sonically developed through an ongoing acoustic study programme in collaboration with the EPFL —Ecole Polytechnique Fédérale de Lausanne— and it took three years to transfer that technological study into a watch concept. 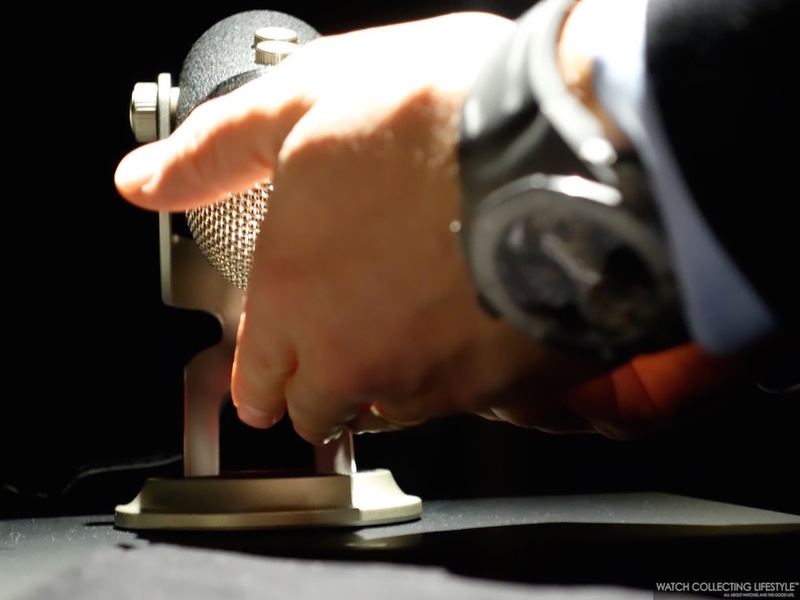 The result is scientifically defined sonic targets for watchmakers to measure and attain the ‘perfect’ minute repeater sound at a volume level never achieved before. 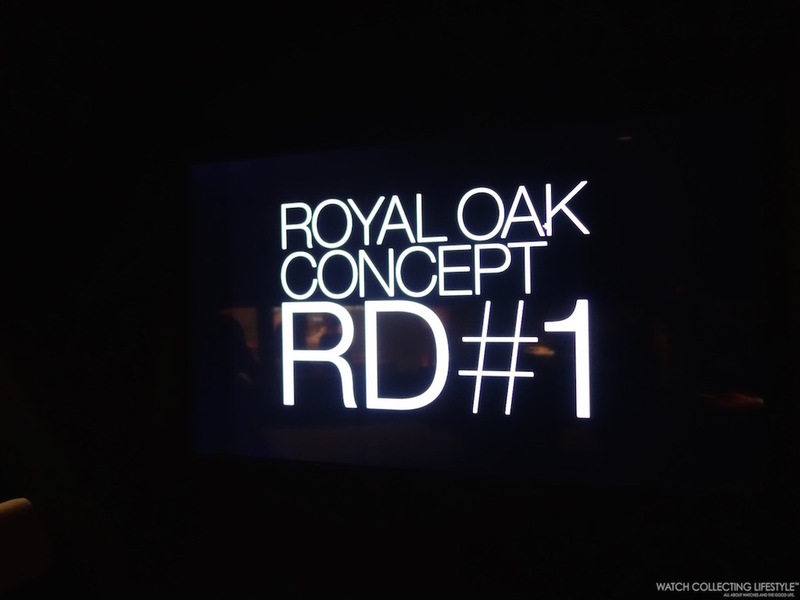 This Royal Oak Concept is the fifth watch in the series of Royal Oak Concepts launched in 2002, 2008, 2011 and 2014. By applying the principles of stringed instrument making, Audemars Piguet has made a breakthrough in the acoustic quality of chiming watch technology and significantly enhanced sound transmission. In parallel, the Manufacture has innovated to overcome the necessary restrictions of water-resistance, which naturally dampens volume, with creative solutions increasing sound intensity. 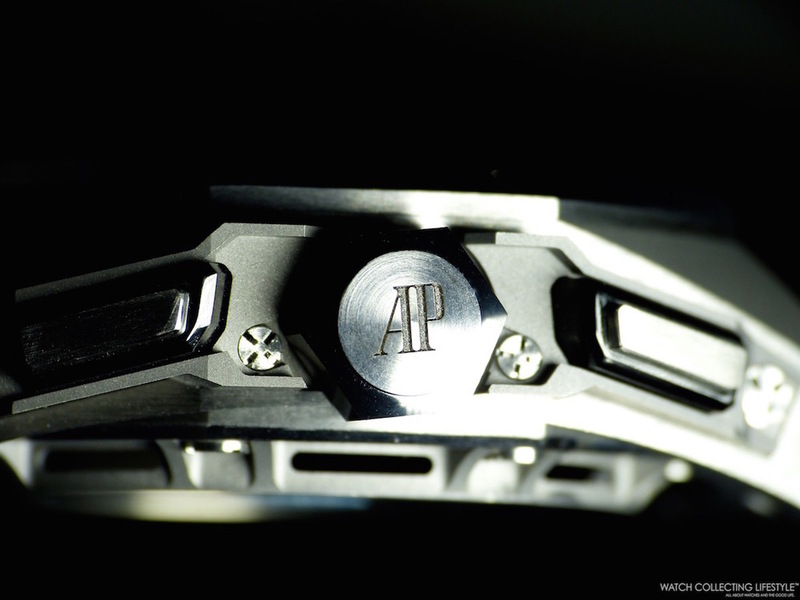 Finally, to further improve sound perception, Audemars Piguet developed a new —almost silent— striking mechanism regulator. The result? The volume, pitch, tones and harmony of sound in a modern water-resistant minute repeater watch are all scientifically enhanced. For the first time in the history of chiming wristwatches, this timepiece isn’t a minute repeater simply meant for the confidential use of its wearer. Instead, its unique sound becomes a powerful experience to be shared. What's even as fascinating is that this watch is also a column-wheel chronograph and a tourbillon. 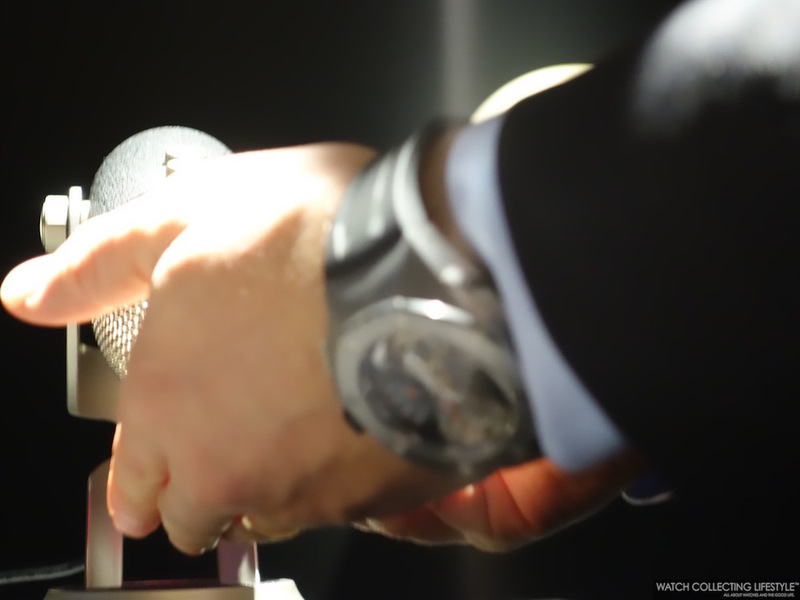 Fitted with a titanium case measuring 44 mm in diameter, a titanium bezel, titanium solid case back, ceramic push piece guards and crown, the Audemars Piguet Royal Oak Concept Acoustic Research Episode 1 —Etude Acoustique No.1— is simply a powerful sound box as you will see in the video we took at the SIHH 2015. Equipped with a black rubber strap with folding buckle, the Audemars Piguet Royal Oak Concept Acoustic Research Episode 1 stays true to the DNA of the Royal Oak Concept line. The family-owned watchmaker took a passionate as well as a technological approach to the study program, engaging a carefully chosen community of researchers, including watchmakers, artisans, technicians and academics. The inner working of musical instruments was explored by a stringed instrument maker, an esteemed academic of the Geneva conservatory contributed on the subject of perceived sound, and an engineer from EPFL worked to improve sonic quality. Each added to the texture of the research programe, preventing it from becoming a simple academic exercise and highlighting sound as an expressive tool. 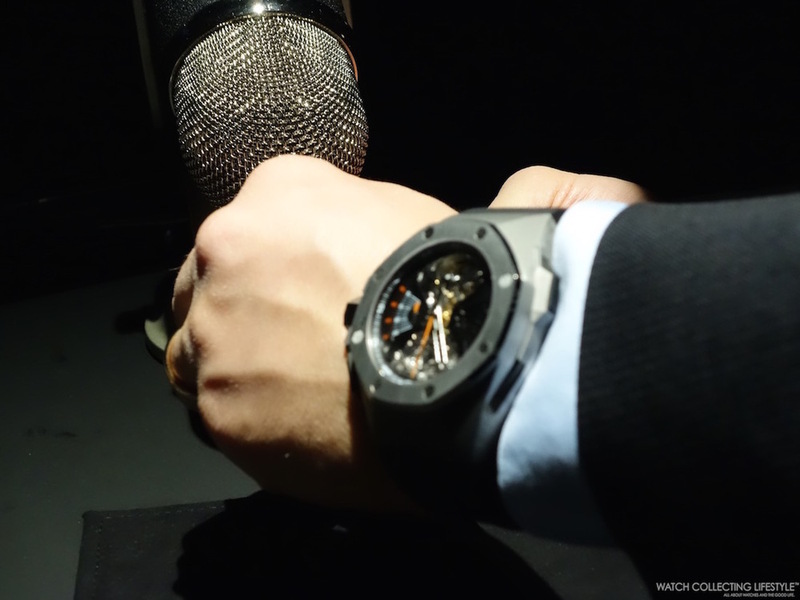 Now, here are some images and a video we were able to take during our session to experience the new Audemars Piguet Royal Oak Concept Acoustic Research Episode 1. 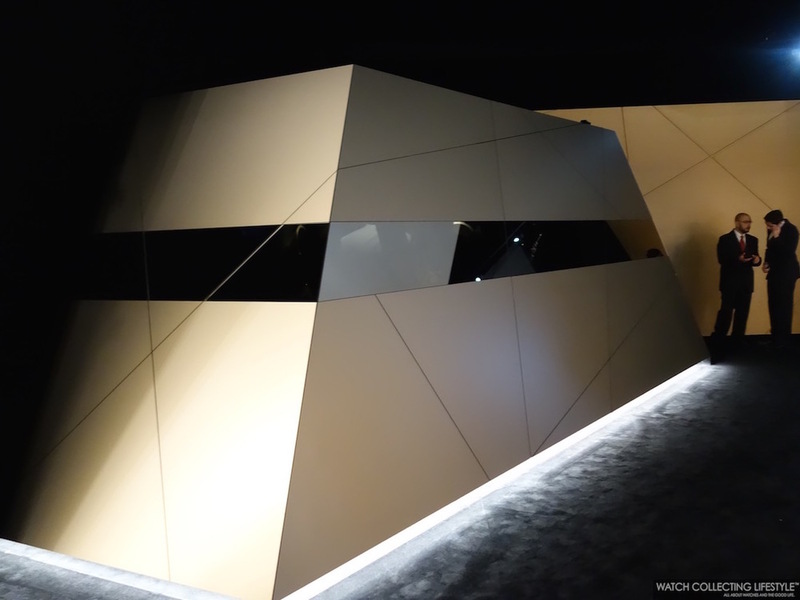 This presentation done in a 'spacecraft shaped' enclosed soundproof chamber within Audemars Piguet's pavilion at the SIHH 2015 was conducted by Claudio Cavaliere —Global Brand Ambassador Audemars Piguet— and Lucas Raggi —Responsable R&D/Chef de Project Industrialisation Audemars Piguet. 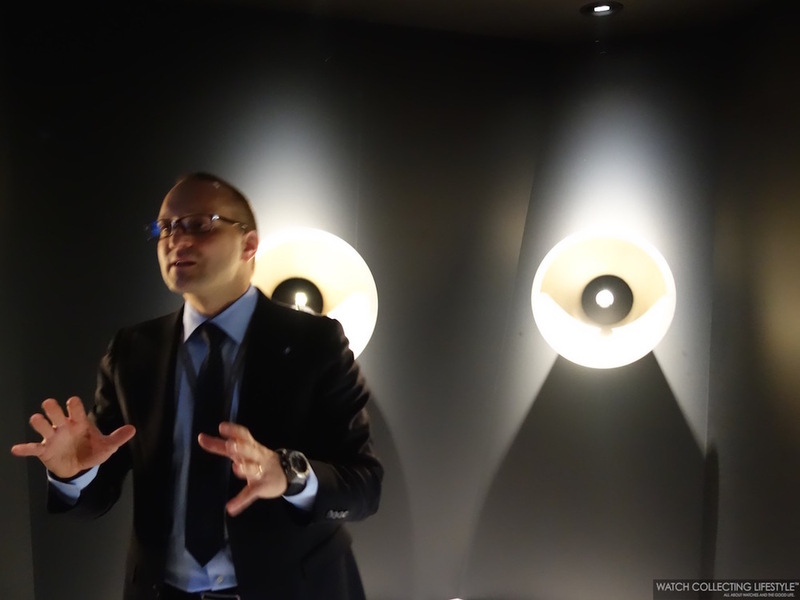 During the presentation we received an interesting lecture on sound waves, sound frequencies and a comparison between other Audemars Piguet minute repeaters from their museum collection to better understand the fidelity and power of the sound coming from the new Audemars Piguet Royal Oak Concept Acoustic Research Episode 1 —Etude Acoustique No.1. 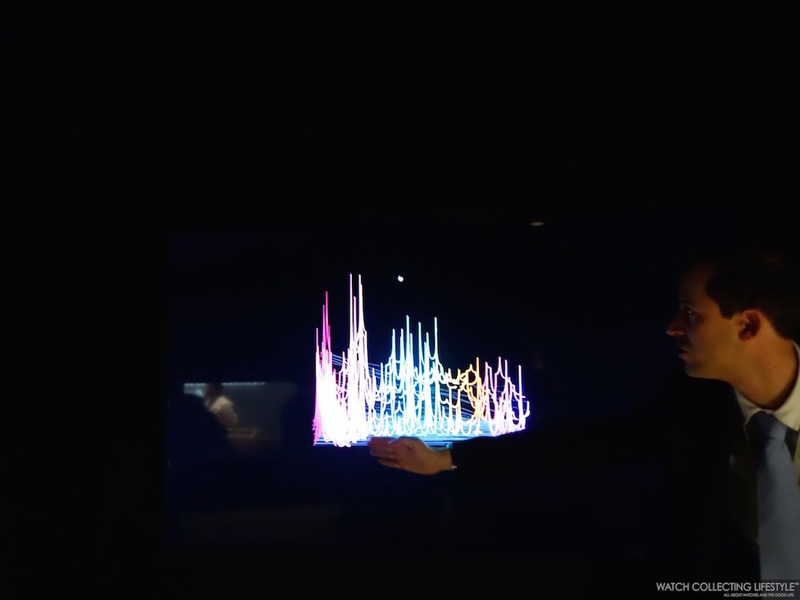 Now enjoy the most fascinating sound on this quick video we captured for you. Make sure you turn your volume up and experience perfection. We promise you've never heard a minute repeater like this one, especially one that includes a tourbillon and a column-wheel chronograph. This new piece is a milestone in Audemars Piguet’s rich history of creating inventive, masterful and unique concepts: it breaks the rules of chiming watches by mastering sound. 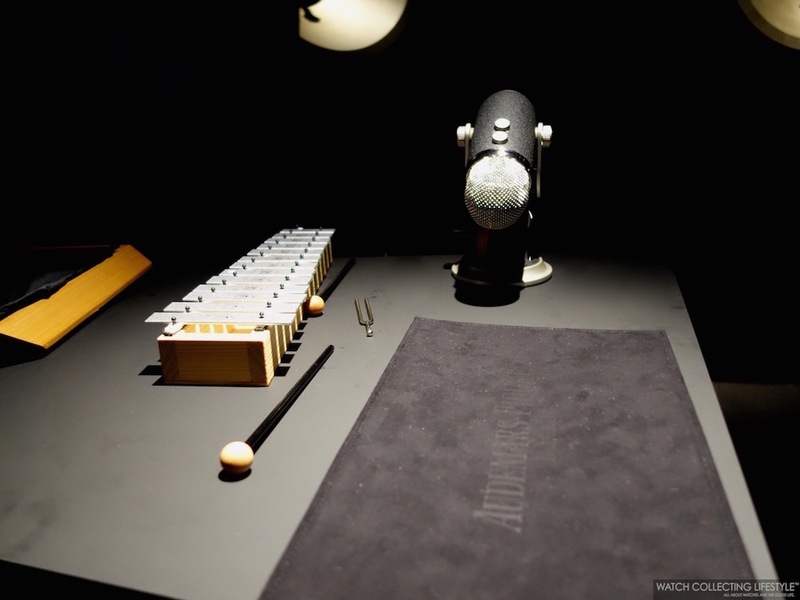 Kudos to Audemars Piguet for this release and for allowing us to record its mesmerizing sound. Posted on January 24, 2015 by Editor & Publisher and filed under Audemars Piguet, SIHH, SIHH 2015 and tagged Audemars Piguet Royal Oak Concept Acoustic Research Episode 1 SIHH 2015 Top SIHH 2015.